As a building companiy, as well as individuals do, you might be seeking the best professionals for your construction projects, like builders and architects. It is essential that they know about interior design, have wide knowledge of architecture software and that they are up to date with contemporary architecture. Moreover, depending on the magnitude and difficulty of the projects, years of experiences is an enormous advantage. At Infoisinfo we want your architectural house plans to turn out successful and we know that the crew which forms your team is key for this. For this reason, apart from contact details to get in touch with the best architects in Australia, we’d like to offer some advice to take into account when hiring architects. Try to know how they would approach the job. You can ask questions like what is what they find most challenging and which things could be improved, for example. Apart from having an excellent architecture portfolio, you need to check whether they match with your company's idea of the project and the way of working, so this first step is very important. 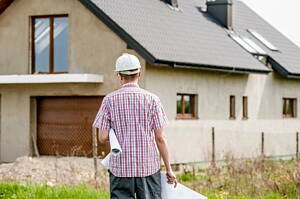 Get to know whether the firm has an own style and if it matches your plans or not. Ask information about the whole team who would manage your projects. Let’s talk about construction management. It is interesting to know which project management services they can provide you with, like for example, weather they are the ones who will hire a contractor. Ask how they need to be paid. Ask for the possibility of they providing you 3D drawing designs. At Infoisinfo we always work hard to be able to offer you useful information so that so can find the best products and services for you and your company in Australia. This time, we’d like to help you out with your building plans. Therefore, we’ve prepared a list of the best architecture firms in Australia, where you could find the best professionals like landscape architecture experts and the best chief architect for your house design. Get in touch thanks to the contact details available on our directory, such as phone numbers, address, websites or opening times. In addition, you can have a look at comments and valuations from other clients to get a better idea about the architect or architecture company. Suite 2, 24 Brown Street, Busselton. Busselton. WA, 6280. Level 3, 480 Collins St, Melbourne. Melbourne. VIC, 3000. 183 St Johns Avenue. Ryde. NSW, 2113. 2/21 Waterloo Road, Collingwood. Yarra. VIC, 3066. 80, Mills Road, Braeside. Kingston. VIC, 3195. Suite 10, 219 Onslow Road, Shenton Park. Perth. WA, 6008. 5 Hogan Gve, Werribee. Wyndham. VIC, 3030. 36 Ingham Rd, West End. Townsville. QLD, 4810. 1 Eagle St, Wavell Heights. Brisbane. QLD, 4012. Po Box 36, Fremantle. Fremantle. WA, 6160. 20 Michaelina Dr, Beaudesert. Scenic Rim. QLD, 4285. Level 13 Waterfront Place, 1 Eagle St, Braddon. Canberra. Australian Capital Territory, 2612. 82 Collingwood St, Osborne Park. Stirling. WA, 6017. Po Box 518, Perth. Perth. WA, 6000. Shop 6, 15 Tedder Avenue Ave, Main Beach. Gold Coast. QLD, 4217. Level 1, 121 London Cct, Fortitude Valley. Brisbane. QLD, 4006. Level 1, 2 Edward St, Mcmahons Point. North Sydney. NSW, 2060. Level 1, 242 Dorcas St, South Brisbane. Brisbane. QLD, 4101. Shop 3, 65 Back Beach Rd, San Remo. Bass Coast. VIC, 3925. Po Box 435, Enfield. Golden Plains. VIC, 3352. 26 Maiden St, Greenacre. Bankstown. NSW, 2190. Po Box 995, Smithfield. Cairns. QLD, 4878. 162 Darby St, Cooks Hill. Newcastle. NSW, 2300. 21 Beaumont St, Islington. Newcastle. NSW, 2296. 203, 644-654 Bruce Highway Hwy, Fortitude Valley. Brisbane. QLD, 4006.